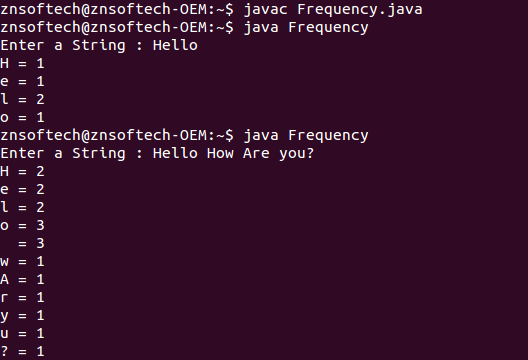 Java program to find the frequency of each character in a String. 2. Accept a sentence from the user. 4. Count the no. of times it occurs in the sentence. 6. Repeat Steps 3 to 6 till all the frequencies are printed. nice logic thanks a lot for help.